Daikoukai Jidai (大航海時代) is a simulation game by Koei in their Rékoeition series. It was first released in 1990 on various Japanese computers before being ported to a variety of other platforms, including a port to the Sega Mega Drive in 1992. 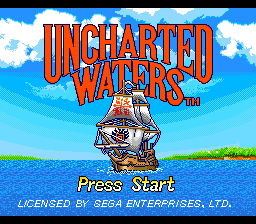 Western releases called the game Uncharted Waters. It was followed by Daikoukai Jidai II/New Horizons. Main article: Uncharted Waters/Magazine articles. NEC Retro has more information related to Daikoukai Jidai.